What better way to spend a Valentine’s Day then by visiting a castle? That’s exactly what I did two years ago. How did I choose Ozalj castle? Well, I saw it featured in a magazine in an article about Croatian castles and convinced my husband to visit it with our friends. And it was the perfect day trip! 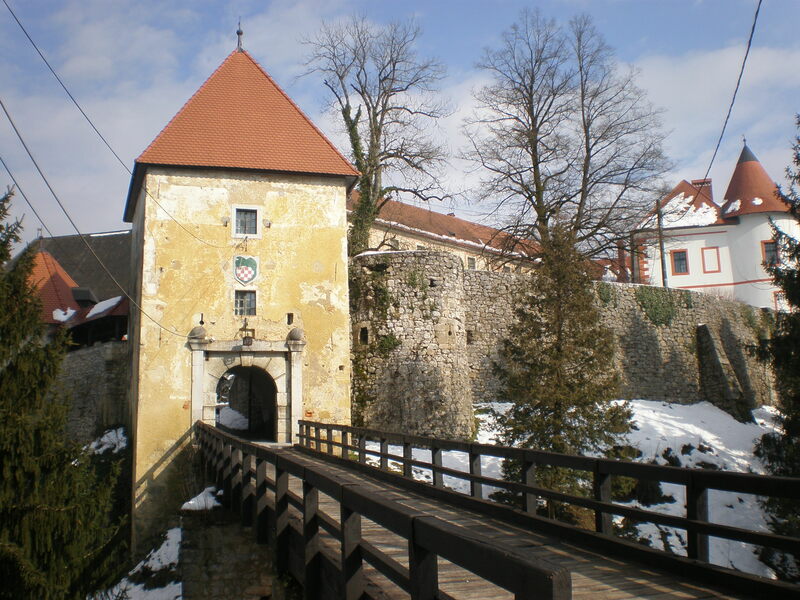 Ozalj is a small town roughly 66 km away from Croatian’s capital Zagreb and very near the Slovenian border. Its most famous period in the history was during the rule of the illustrious Croatian noble family Zrinski in the 17th century. 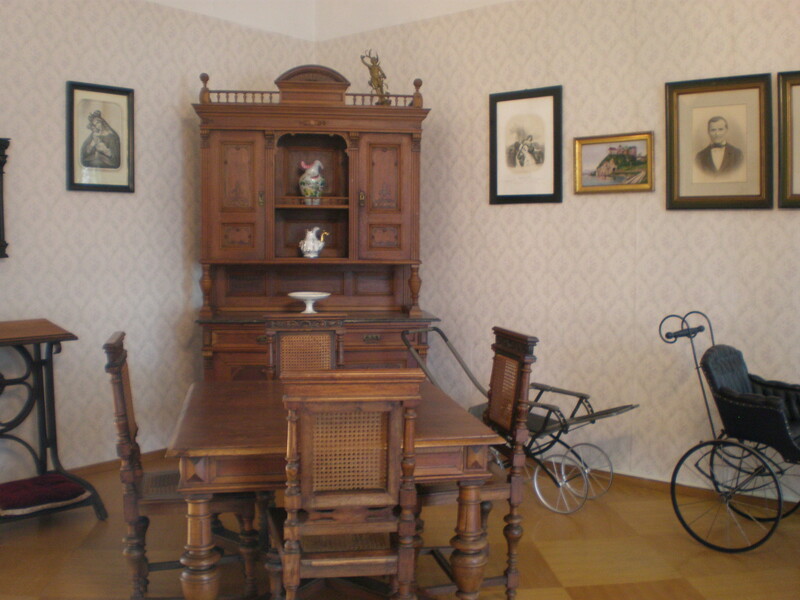 Another notable resident of Ozalj was the Croatian deaf-mute painter Slava Raškaj who was born in Ozalj in 1877. The medieval Old Town of Ozalj perched on the stone cliff above Kupa river was transformed into a beautiful castle in the 18th century. 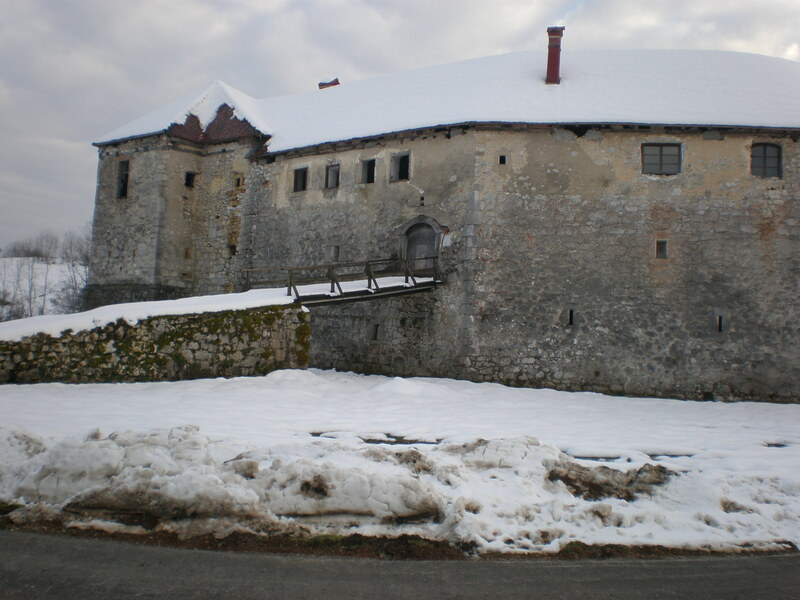 Ozalj castle changed many hands during the turbulent Croatian history. 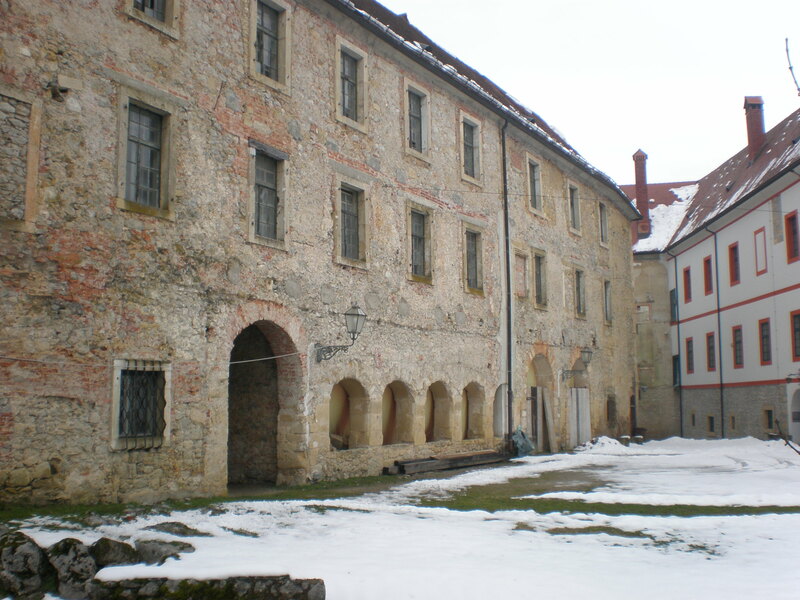 It was owned by the King in the 13th century and then by the noble families of Babonić, Frankopan, Zrinski, Perlas, Batthyany and Thurn and Taxis. Its current owners are the “Brethren of the Croatian Dragon” society who have opened it to the public. 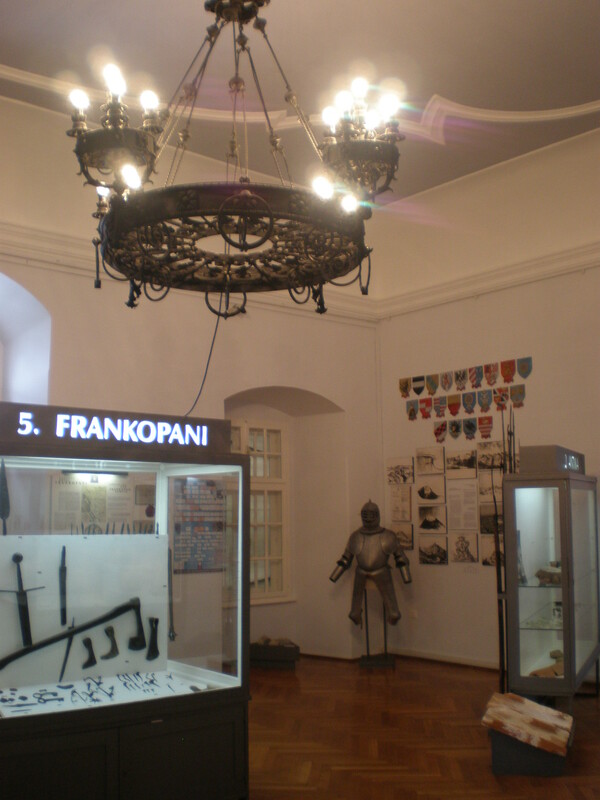 Inside the Ozalj castle you can find a small museum and the library. The entry fee was 20 kuna which is just under 3€ at the time of my visit (Feb 2015). We drove through the snow covered landscape on our way to town Ozalj. But even before we reached our destination we saw some castle in a small village Ribnik and decided to stop there on our way back from Ozalj. What an unexpected find! 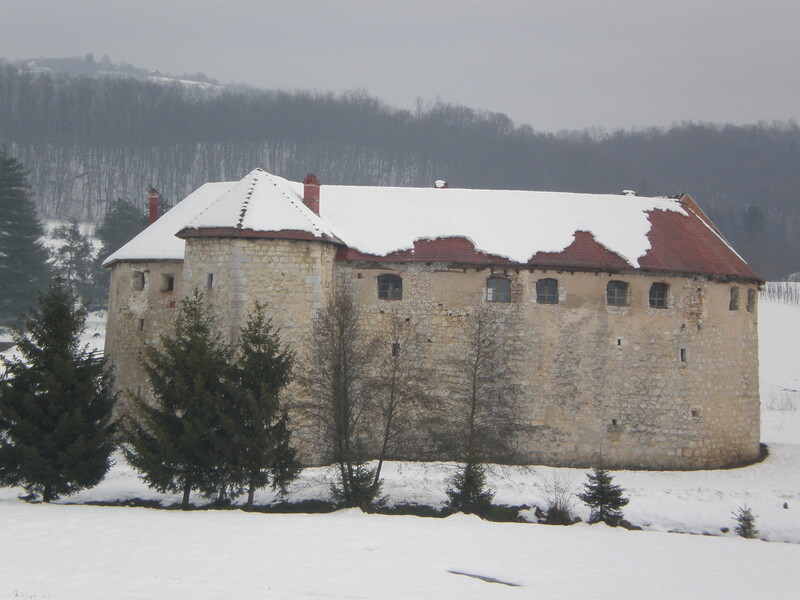 We arrived early to Ozalj castle (just before the opening times) and were among the rare visitors on that cold Valentine’s Day. We wandered for a while around the Castle’s courtyard before we entered the museum. 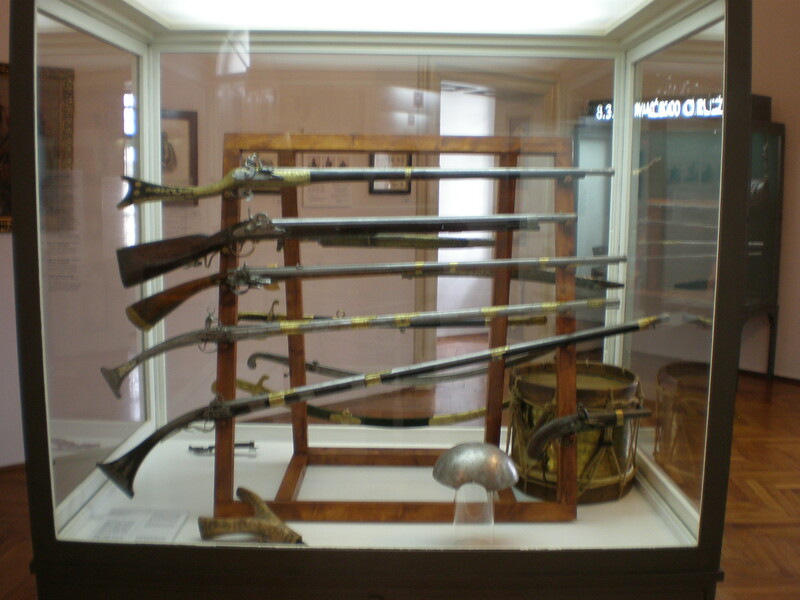 There you can see weapons, furniture, documents and many other artifacts from the castle’s history. 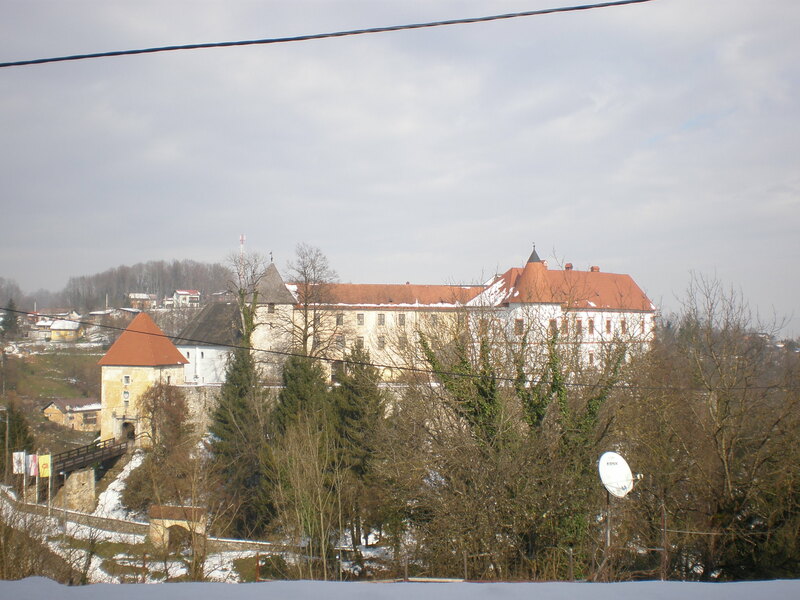 The castle itself consists of different fortresses and a big palace in the middle (the museum is here). Some parts are in better state than others but you can enter almost all of the buildings of the castle complex. 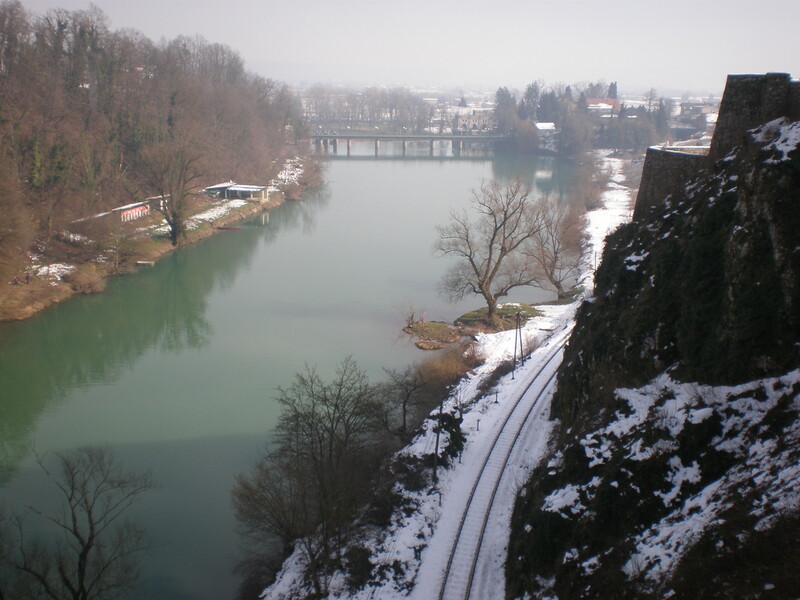 The views of the river Kupa from the castle are stunning. 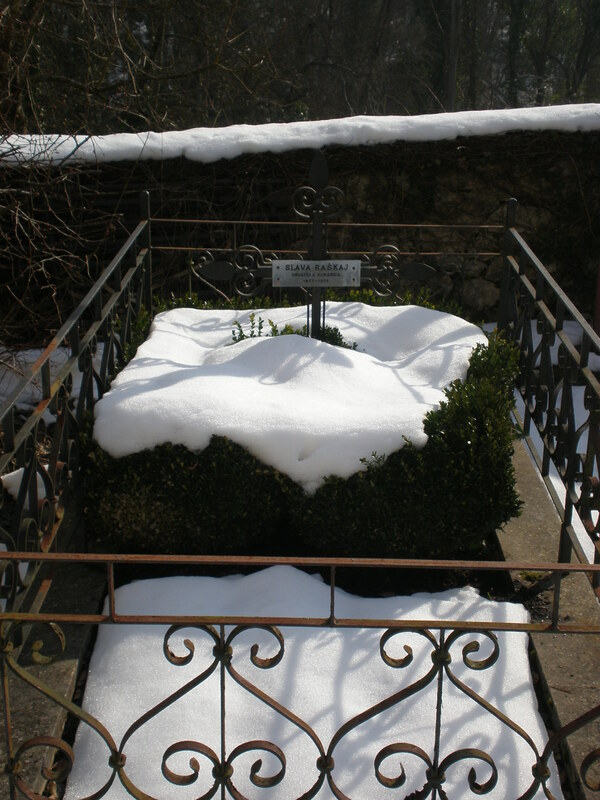 Its emerald green colour was in beautiful contrast to snow-white surroundings. After we’ve explored the castle to our heart’s content we crossed the road and climbed a small hill just across the castle. 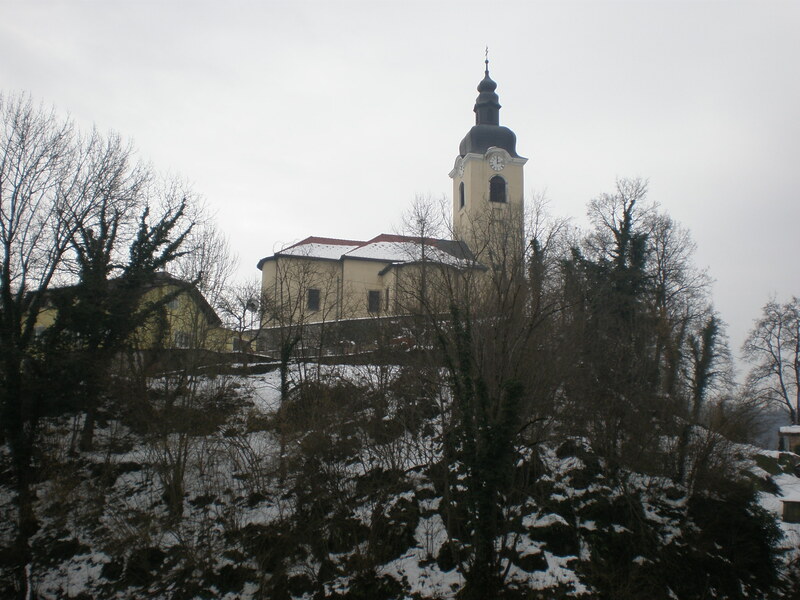 There’s St.Vitus church and the grave of the Croatian painter Slava Raškaj who was born in Ozalj. From up there you can see Ozalj castle quite well but if you want to take good photos you’ll be annoyed because of the TV dishes ruining otherwise a fine view. There’s not much else to do in Ozalj town after you’ve visited the castle. It was already afternoon so we chose Žganjer restaurant in a nearby village and had an excellent meal (even got some mini doughnuts for free). It was time to go back but not before checking out the castle in Ribnik village which we saw from the car on our way to Ozalj. 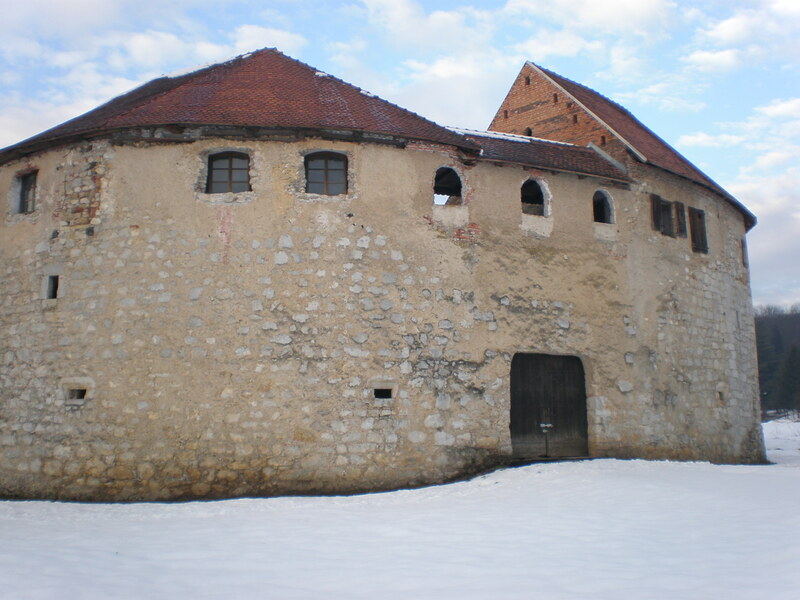 Ribnik castle is a medieval castle and one of the rare examples of the so-called Water castle ( subdivision of the lowland castle). There wasn’t any tourist information sign around the castle and the castle itself was closed when we visited it. I’m not even sure whether it’s ever open to the public but it’s absolutely gorgeous from the outside and worth stopping by on your way to Ozalj castle. All in all, it was such a perfect day trip! There are many wonderful castles in Croatia and I really should visit them all at some point 🙂 . Have you read my other Discover Croatia posts? I wrote about island Rab, Lošinj and Pag. If you want to read more about Croatia you can also read about the chocolate festival in Opatija. It looked cold when you visited that’s for sure, however castles do look so pretty and romantic in the snow! 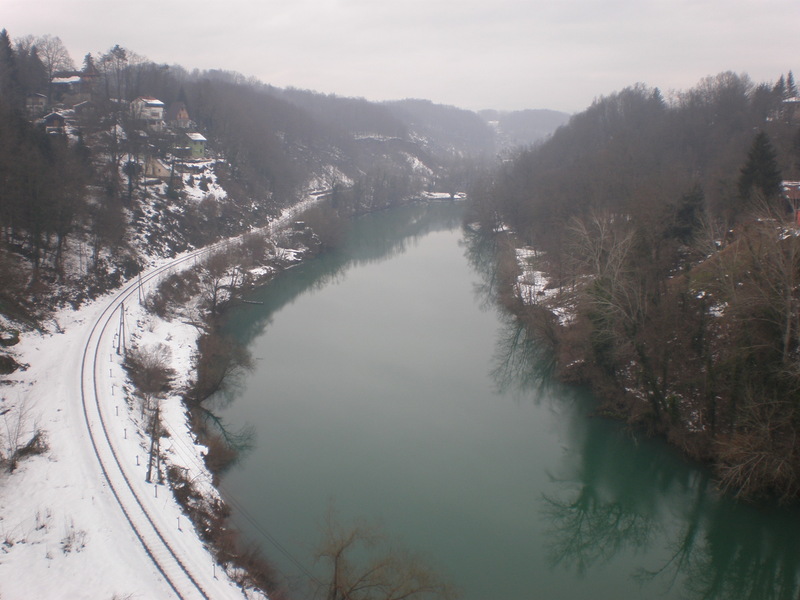 It certainly has an impressive setting with incredible views over the River Kupa. Do you have a list of all the Croatian castles to visit so you can tick them off as you go along. I tried doing that with all the UK castles…the list is massive as we have soooooooo many, but its amazing how many I’ve actually been to (and how many I am yet to see, lol) Big task…..
good question, no, I don’t have the list, but I should make one! I do however have an English bucket list (search for a blog post about it if you want 🙂 ). 🙂 First time I hear about this castle but I have heard there are very nice castles in Croatia. The castle looks magical in the snow! 🙂 thanks! have fun in Oregon:) is there snow now too? Wow! 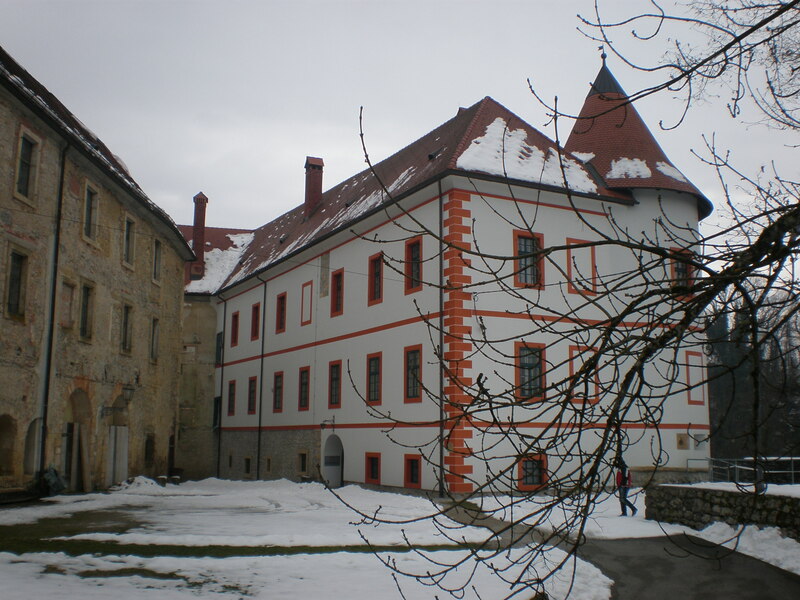 First time I hear about this castle but I have heard there are very nice castles in Croatia. Would be nice to use Zagreb as a base and explore. Beautiful castle, Tanya. We are so lucky to have the chance to visit these places and soak up all the history. This is really silly, as I know Croatia is near Slovenia where they have all seasons, but I’d never associated snow with Croatia before! It looks like it could almost be in Germany! How beautiful! And it’s even more picturesque with the beautiful snow, it looks like a real winter wonderland! 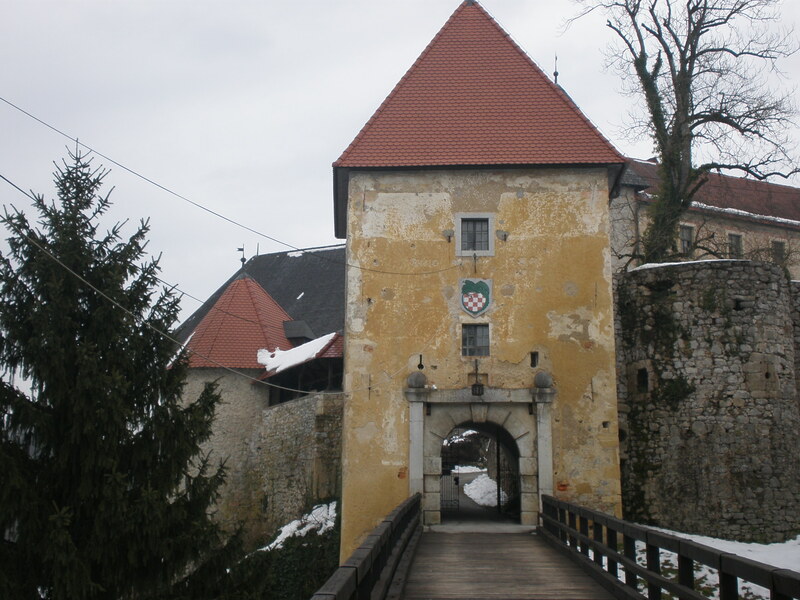 Visit all of the castles in Croatia? You’ve got a lot ahead of you! 🙂 But I agree that this does sound like the perfect way to spend Valentine’s Day! It doesn’t look like there were many people out that day? When I think of Croatia, I automatically think about beaches and sunshine. It looks so different in winter but still absolutely gorgeous. And castles always make for a great visit!! Croatia looks so beautiful! We are looking forward to our first visit there in a couple of months but have a feeling we may need to return for a longer stay! The more we see of Croatia, the more we want to spend some time there. 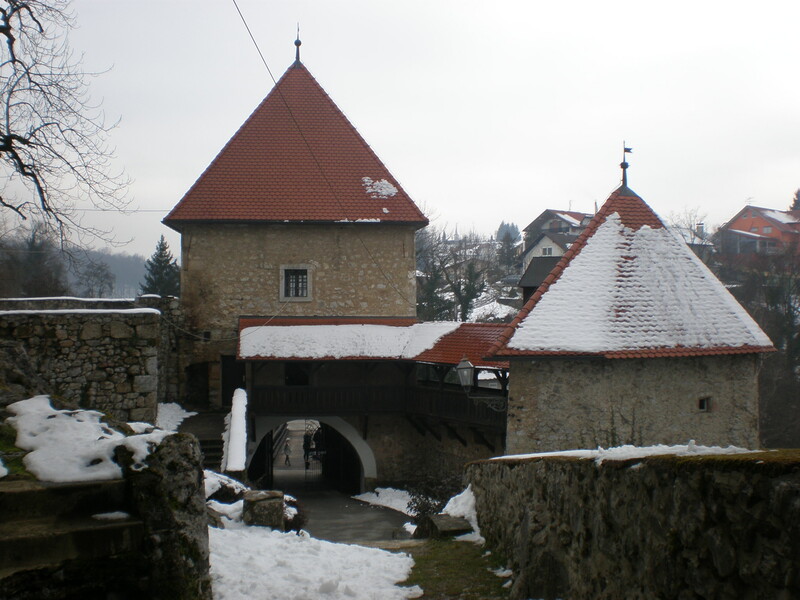 It seems like a great country to wander through, discovering all of the towns and castles like Ozalj! Thanks for putting this one on our radar. Valentine’s Day is MADE for visiting castles! What a fantastic place to stay. I’d never really thought of Croatia as a holiday destination until we did a travel quiz a few days ago and Croatia was mentioned a lot. I’ve also just discovered that a lot of Game of Thrones was filmed there, I’d love to go and see the locations. I have never seen pictures of Croatia under the snow ! This looks amazing ! I really enjoy your posts about Croatia. They are really making me want to plan a trip there. This looks so cool, I bet the history was fascinating!